Singer Chris Brown's bodyguard will have to wait until Monday to learn whether he will serve time behind bars for an assault outside a Washington, D.C., hotel. That delays Brown's trial to 10 a.m. Monday, after the judge finishes the trial of bodyguard Christopher Hollosy. Both Hollosy and Brown are facing an assault charge after a Maryland man says they punched him outside the W Hotel in October. During the second day of Hollosy's trial, a judge denied a defense motion to acquit Hollosy as his trial entered its second day Friday. Singer Chris Brown's bodyguard may soon learned whether he will serve time behind bars for an assault outside a Washington, D.C. hotel. 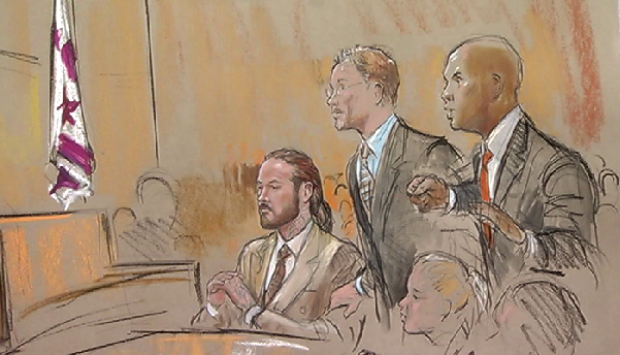 One of two witness called by the defense testified that a D.C. police officer told the victim he should get a lawyer, adding that he could get money out of the situation. The defense rested its case shortly after Hollosy told the judge he didn't want to testify on his own behalf. Hollosy is expected to testify in Brown's trial. Otherwise that trial will be very similar to Hollosy's. Hollosy told police he punched the man after the man tried to get on Brown's tour bus. The man told police a different story: He said Brown and later Hollosy punched him after he tried to get in a photo Brown was taking with two women. However, on cross-examination, a limo driver who witnessed the incident said he saw Brown throw a punch that grazed the victim's shoulder. He said he then saw Hollosy throw a punch that resulted in blood. Court papers say the man's nose was fractured. Brown has denied hitting the man. Several famous faces were seen walking into the courthouse Friday in support of Brown, including Brown's girlfriend Karrueche Tran, singer Tank and rapper Bow Wow. 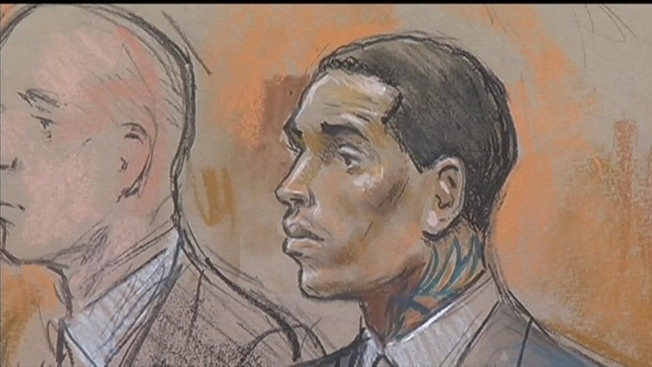 Brown made a very brief appearance in court Friday, News4's Mark Segraves reported.